Logansport’s Whitehouse Restaurant closed its doors for good on Saturday after 73 years. Little family-run diners used to be typical; every town had at least one. They began disappearing in the late 1970s, by my estimation, as fast-food and diner-style chain restaurants really caught on. I think that the wide availability of places like McDonald’s and Denny’s, coupled with the consistency and predictability of their offerings, made them feel like a safer choice. Today, it takes an adventurous spirit to stop for a cheeseburger at a place like The Whitehouse. To be blunt, it was run down, as the photo above shows. Inside, seven decades of patrons resting their arms on the counters wore the color off the laminate. It spoke of owners who weren’t making a killing in the restaurant business, but who kept at it because they loved it and it made a good enough living for them. In truth, the restaurant was clean, the staff was friendly, and the food was good. But it probably felt safer for most people to drive on to the next fast-food place. I know I felt that way. I’ve driven through Logansport a hundred times, easy, over the last 30 years. The Whitehouse is on the Michigan Road, which is always the route I take through town. But when I was hungry, I always drove right past The Whitehouse and went a little out of my way to visit a Mickey D’s. Curiosity finally got the better of me about six years ago, and I stopped for a cheeseburger. What a great cheeseburger it was, the kind with crispy edges! I wished I had taken the chance years and years before. I’ve stopped every time I found them open since (which could be tricky, as their hours were 4 a.m. to 1 p.m.). Once my sons in the car with me at lunchtime as we passed through town, and we stopped. It was very cool to let them experience something that had once been very common in America. A fellow named Lester worked the grill. He had been at it for 60 years when he passed away in early 2012. I wondered then how much longer The Whitehouse would hang on, as it seemed like he was the force that kept the place going. And now here we are. Are there any family-run places near where you are? Go visit them today. I’ve been in a number of places like that in my time, many only once which was enough. But, there were many really good places. 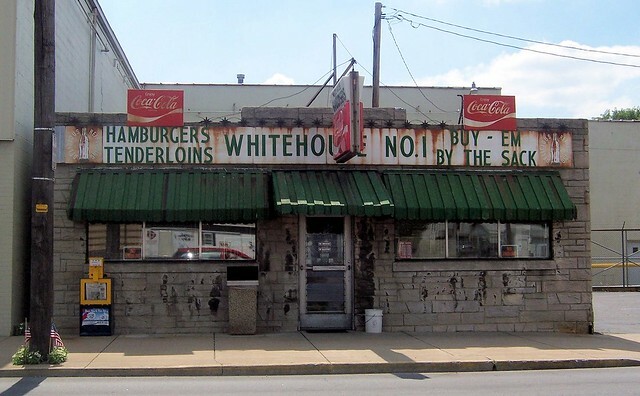 There was a Whitehouse Restaurant on South Michigan Street in South Bend, IN. It had four booths and a counter with stools. Very clean, good food, warm inviting people, and affordable prices. Spent many hours there as a teen. Good memories. Thanks. I have wondered whether the Logansport and South Bend Whitehouses were related. But I gather that variations on “white house” were common names for local-ish diner chains. 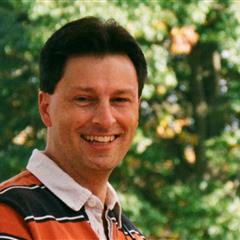 I believe the name came to connote cleanliness and food safety, which had not always been a given, as you experienced. I have had some of my best and worst meals in places like this. I remember back in the old days that some could be pretty bad when I was traveling in sparsely populated areas without much restaurant competition. I can remember more than once going into places that advertised a buffet which they didn’t refill when the food ran out. I tend to think that the competition from the chains has weeded out most of the bad local places. At least for the past 20 years or so my experience with this type of restaurant as been much better than it was in the 60’s and 70’s. I’m just young enough not to have experienced that very much, but I do gather that it was a constant worry — is this joint’s food going to be gross? WIll it give me dysentery? The chains and their consistent standards nearly eliminated that worry, and may have raised the bar on mom-and-pop joints everywhere. The place where I get my “turkey sandwich” would qualify as this sort of place. Been there forever and looking at it, you wouldn’t choose it. But the food is consistently good, cheap and served with a smile. And I have never seen a health department violation online. 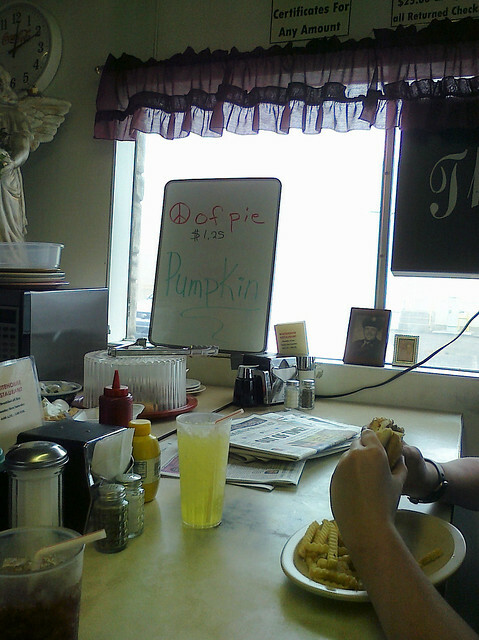 In my hometown, there are still a few diners and the local swear by them. Just sayin’. Back east, diners are still a thing. One of my oldest friends lives in Hoboken, and she posts on Facebook constantly all the great diners she and her longtime boyfriend go to for Saturday morning breakfast. It makes me really jealous! The Clayton Cafe in Clayton has the same type countertops! They line up outside in the rain or snow every Friday night for the all you can eat catfish. All you can eat catfish? Sounds awesome! I used to avoid these type of places like the plague, back when smoking in restaurants was commonplace and it seemed like only the major chains had room for a non-smoking section. But now that most people have gotten used to the idea of “taking it outside”, I’m no longer afraid to try any independently owned place I find, and look forward to them. Hunh. Great point, and I’d forgotten all about that. Of course, I was raised by smokers, and it wasn’t until I’d lived on my own for a while that a smoke-filled room gave me any trouble. Darn! I never did get inside. As you mentioned, their hours didn’t make getting inside easy. I have a couple photos similar to your exterior shot but now I’ll never get one like the one at the counter. Plus I’ll never get to try that cheeseburger and that’s what really hurts. Bummer!! Seems like I caught them closed most of the time too. It was too bad.